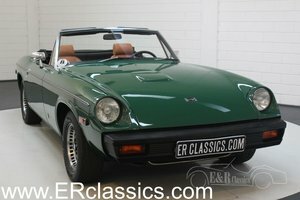 This is a very beautiful, and very special Jensen Healey cabriolet from 1973. 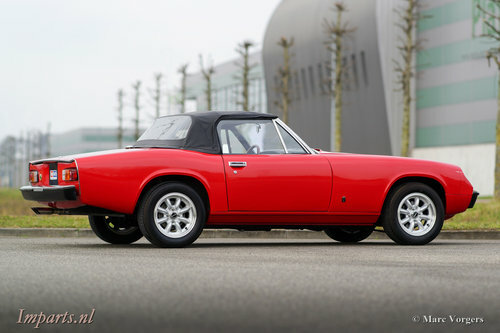 The car was imported from the USA in 1988 and was registratred in 1990. 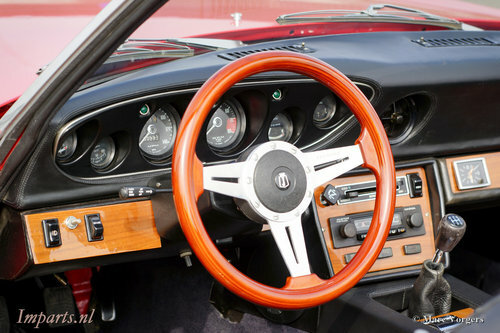 More than 10,000 cars were produced in the period 1972 to 1976. 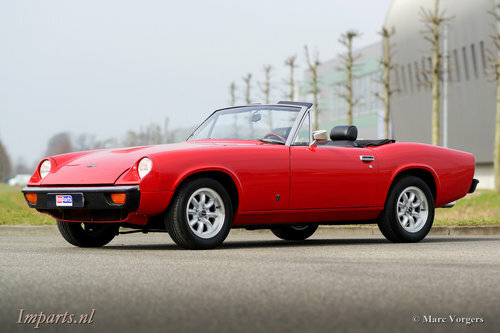 This Jensen Healey has been owned by the same owner since 1988. 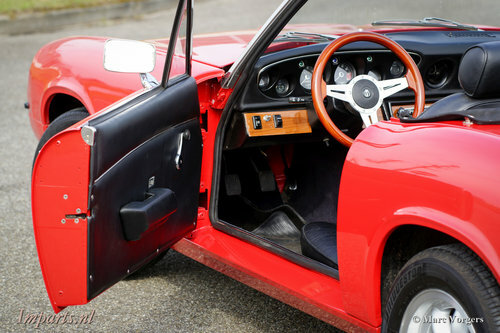 The Jensen Healey was restored to the current state in various phases and was provided with the necessary upgrades. 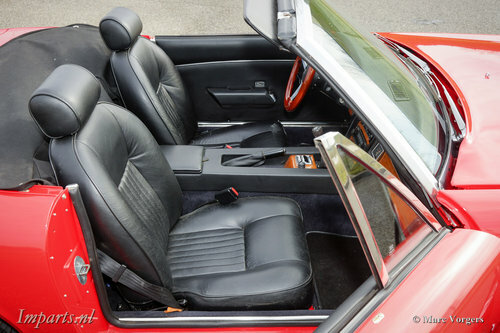 The spacious interior is made of black leather and the soft top is black. 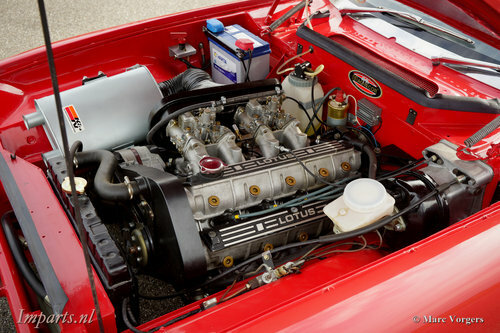 The Lotus engine (2.2 ltr.) Is tuned and equipped with, among others, Lotus 107 camshafts, longlife cambelt with adjustable gears. Also (JE) forged pistons and a lightweight flywheel. Dellorto 45 mm carburetors. The power is now about 170 hp. There is also electronic ignition mounted. The gearbox is the Getrag 5-speed from the Jensen Healey Mk2 with a modified final transmission. The brakes have also been improved, namely large JHPS aluminum 4-pots calipers, rear new brake drums, new master brake cylinder. The beautiful Panasports (6x14) wheels fit the classic very well. The wheel suspension has been improved by mounting Koni shock absorbers and a thicker (Jensen GT) anti roll bar. 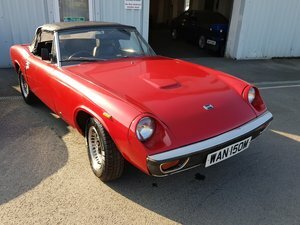 It is a beautiful classic English sports car with a special history.